Vantage is used to present a site’s collected data stored in the Historian. Users can access and customize an unlimited set of dashboards to view a site’s performance and device status in real time, analyze historical trends, and track alarms. Vantage combines excellent technical functionality with innovative business functions to manage site equipment and power production. This goes beyond operational activity and supports analysis and improvement of financial performance. Vantage User Interface is customizable and flexible, enabling you to configure the dashboards to your unique requirements and priorities. It’s all about giving you the tools you need to optimize the return on your investment. If a key performance indicator should fall out of range, Vantage lets you know via email, text or report – it’s your choice. You can even configure alarm thresholds that will alert you to specific events and long-term trends. 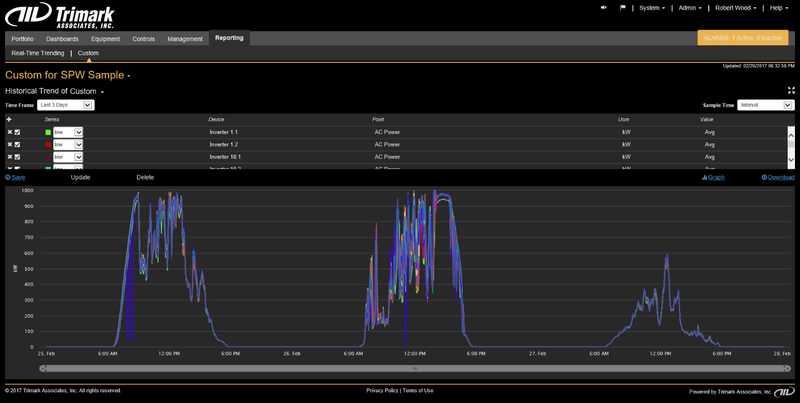 The KPI dashboard provides key real-time data about a site’s performance. 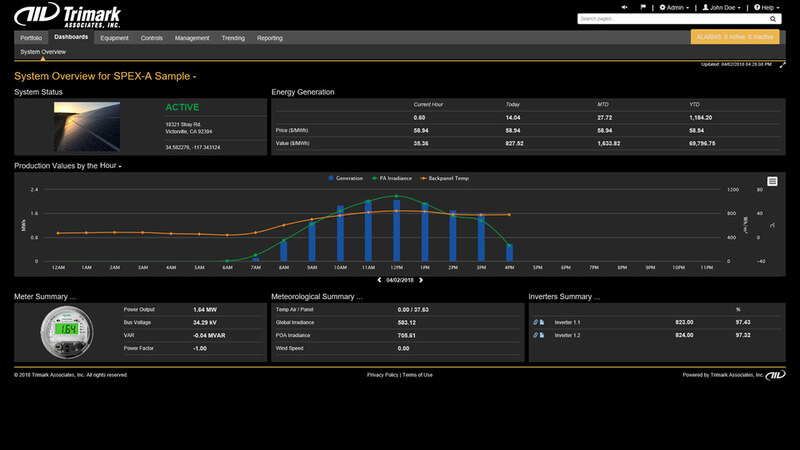 Users can access dashboards from their cell phones and easily see how much power is being produced, along with meter, MET, and inverter data. Trimark’s SCADA system is a valuable tool to proactively identify and correct performance issues. With so many sites in our portfolio and thousands of inverters and trackers, we need a reliable, advanced system to automatically detect problems. Trimark’s advanced SCADA system enables us to customize alarm definitions and thresholds by device and site, so we can accurately identify problems based on a wide range of variables. As a result, we can cost-effectively consolidate technician dispatches to fix issues as well as make corrections that positively impact power generation. Want to see how your sites are performing across your entire portfolio? Need to view the details of an individual inverter at a specific site? Want to know when a device sets off an alarm? 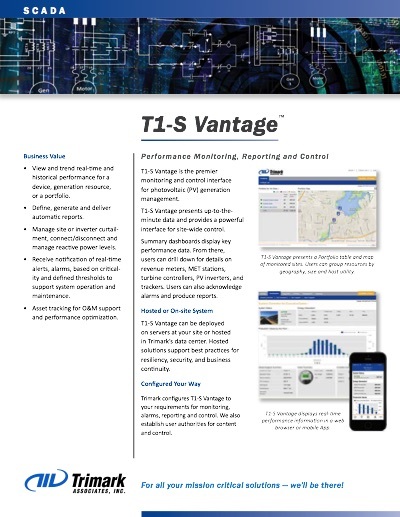 Vantage tracks performance and provides real time details via a web browser or mobile device, so you can make informed decisions for optimal performance. 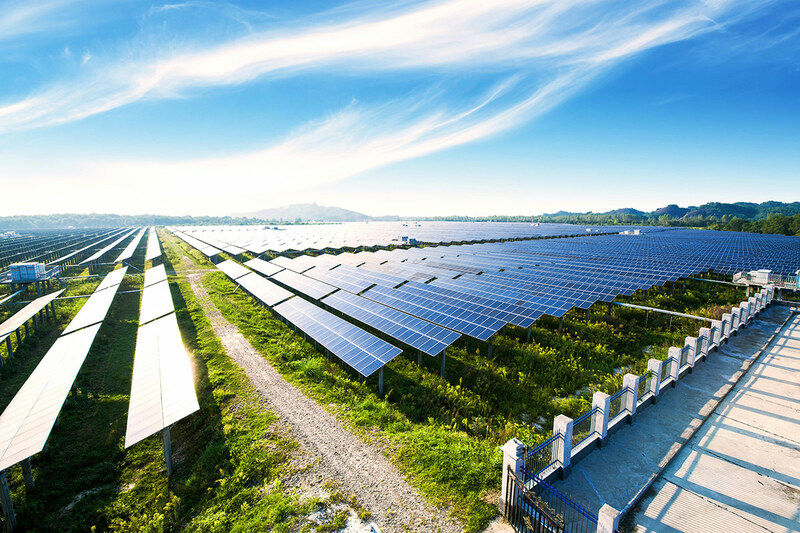 Vantage reporting and analytical tools let you review, report, and trend historical information gathered from field instruments, meters, inverters, cap banks, trackers, and storage systems. SCADA tracks production and provides reliable information to guide maintenance decisions, conduct performance analysis, and make capital investment decisions. Vantage can be configured for each specific user’s requirements, organizing the user’s highest priority information right where they want to see it.